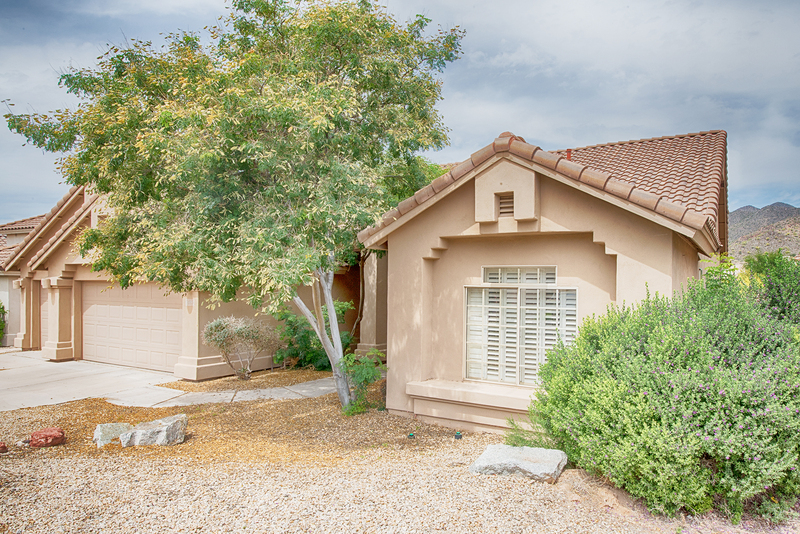 MLS #527362 is a single story home in the prestigious, gated Scottsdale Mountain community that features gorgeous mountain views. Its open floor plan has a den/office, a living/dining room, a family room with wood burning fireplace, and a spacious kitchen that boasts stainless steel appliances, granite countertops, oak cabinets, travertine tile, and an eat-in counter/breakfast bar. Master bdrm overlooks a private back yard with an inviting pool graced by a large waterfall and the soothing sound of running water. Extremely quiet NS exposure lot is on a low traffic cul-de-sac. 3 car garage for all your toys or extra storage. For more info see the SimplySOLD™ listings page or contact me.